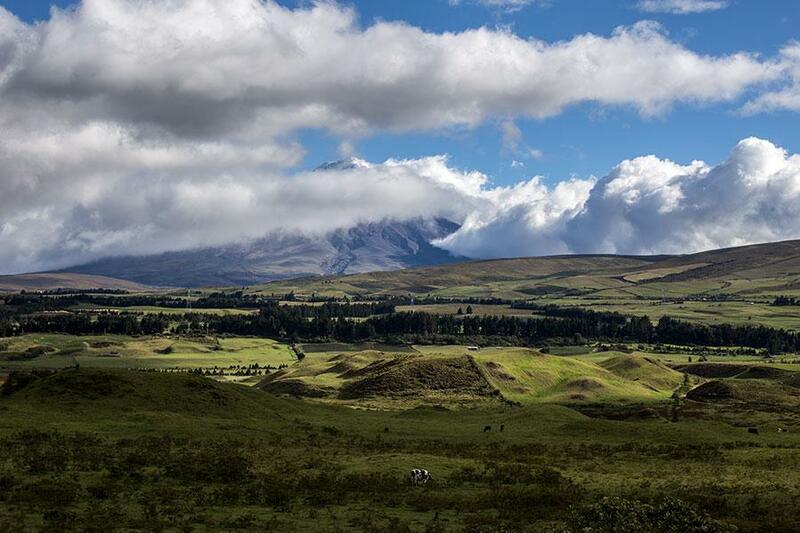 Cotopaxi is the second highest Volcano in Ecuador after Chimborazo, but the most visited and hiked. I wondered why and I found out that despite its height it’s the less challenging and the easier to walk if you are not a climber and just want to reach the first refuge or the glacier, just further up. It’s a 2 hours hike maximum and it shouldn’t be hard. That’s what I thought. Turned out that it was for me. Stick with me and I will tell you why in a bit. 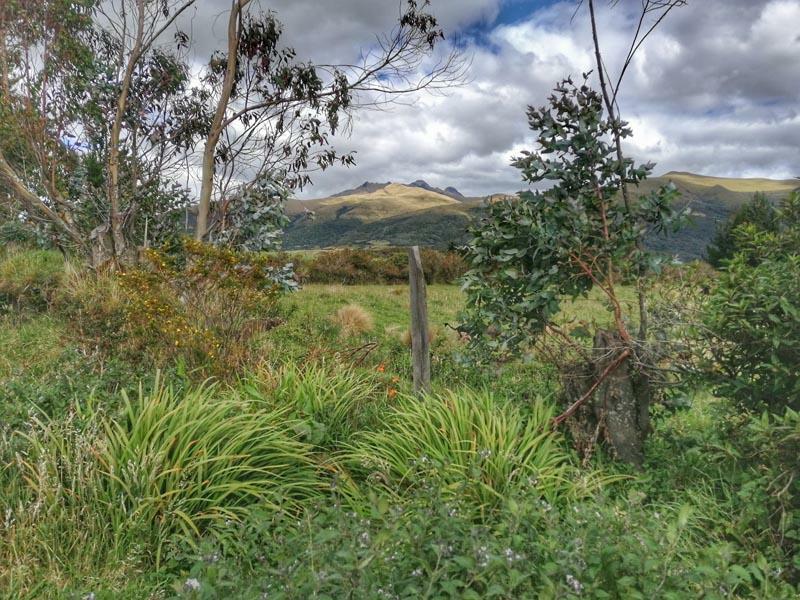 There are many ways to get to Cotopaxi and I decided to do it from the Secret Garden Cotopaxi hostel, which made me have second thoughts on my normally very low consideration about hostels. Here you can check out why. 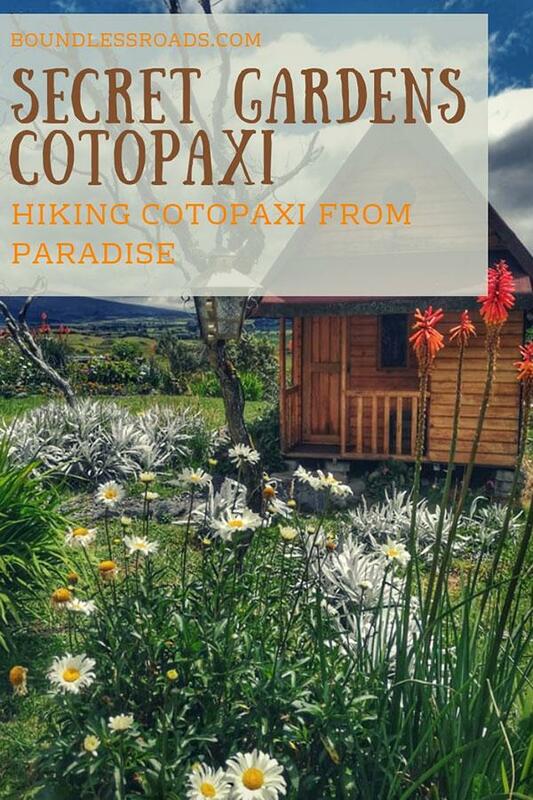 In this post, I will tell you what are the different ways to hike Cotopaxi and how was my experience at Secret Garden Cotopaxi with the hope to help you decide how you want to thick off this spectacular site from your to-do-list in Ecuador. 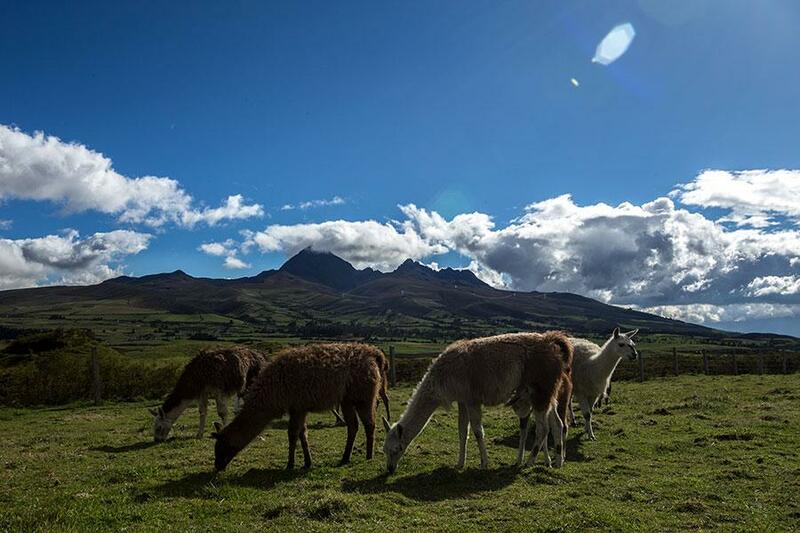 I was staying in Quito for a few weeks and I realized that Cotopaxi hike is one of the most demanded excursions that local travel agents offer as a daily tour from the city. 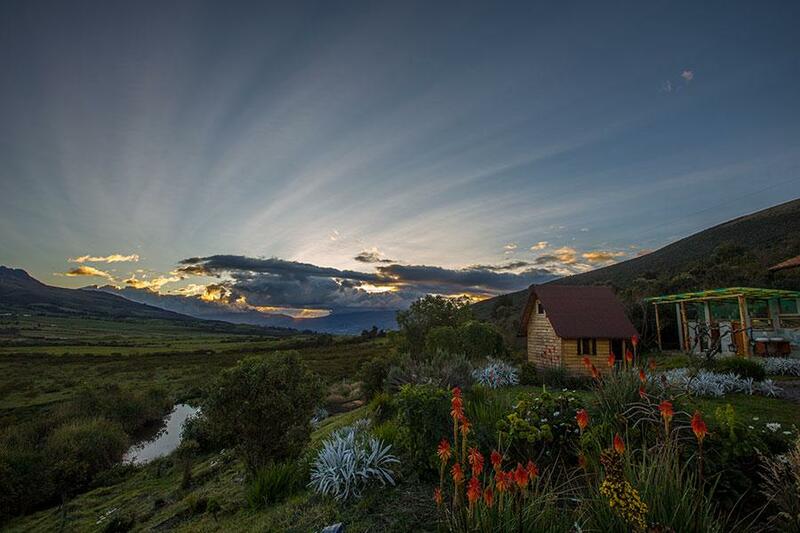 You will leave early morning, around 6 am by a tour bus and accompanied by a guide you will get there in about 3 hours. The tour costs from 50 to 70 USD + 10USD for the bike rental. 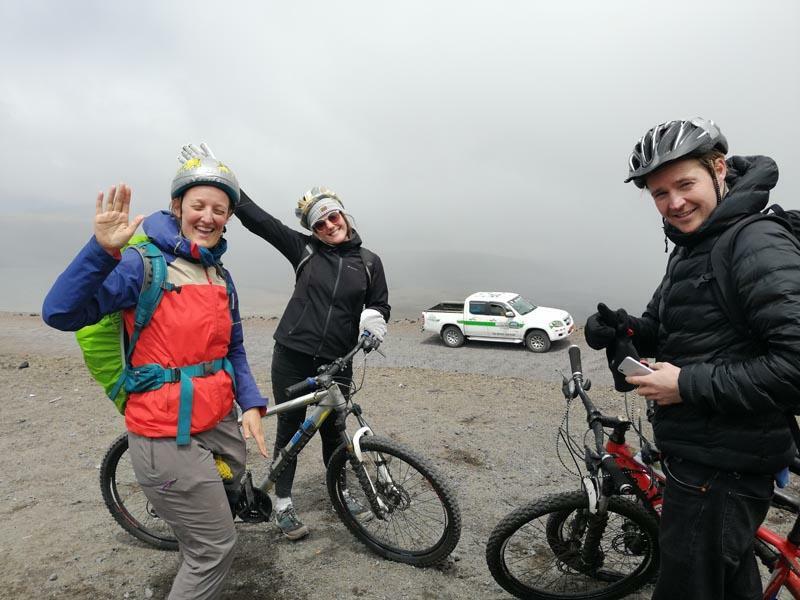 Yes, you can bike down the Cotopaxi Slope if you wish. I chose this option, and I couldn’t be happier. You are just an hour away from the hike and get to leave at 8.30 am after breakfast. 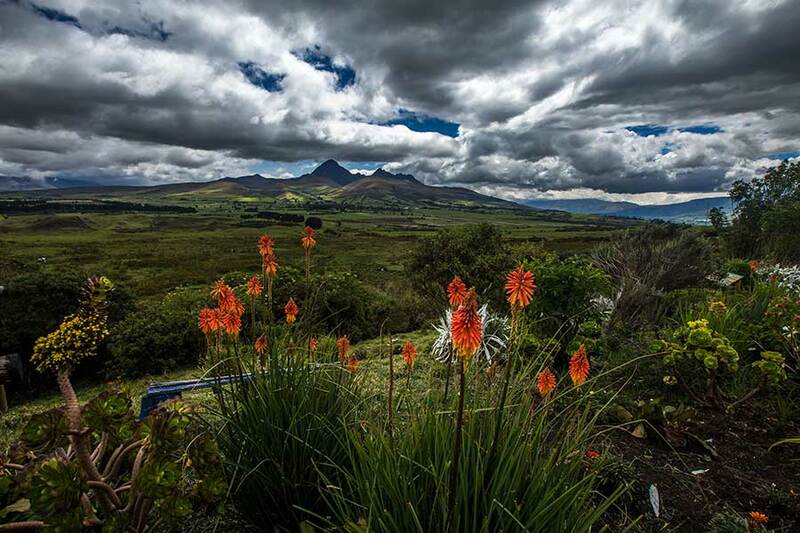 Return is around 2 pm and you have then all the time to enjoy the spectacular views of the valley, relax and socialize. I will tell you more about it later on this post. Tour from here costs around 30USD + 10 USD for the bike rental. I didn’t know it was possible because in Ecuador you need to be with a guide to enter any National Park. However, I met 2 girls that got to Cotopaxi from Quito by Taxi and hiked it on their own. As I said the hike is not difficult and there is always people around since from Quito there are tours every day. However, I would not take the chance. Remember you are at 5100 mt almost and you never know how your body responds to altitude. So I would rather hire a guide. So if you are an expert hiker and you are already acclimatized this is going to be a joke. It was not for me, but that’s another story. The car would take you at about 4560 mt and you will walk about 3 km to reach the “Refugio” a restaurant/hotel where you can rest and get chocolate before continuing the walk up to the glacier. It normally takes 45 minutes to the Refugio and another 45 minutes to the glacier, but it took me 1h 20′ to get there and I was happy I made it. Of course I didn’t go further to the glacier. I was exhausted. I thought I was already acclimatized to the altitude but I was not. Every time I face these challenges with hiking I always ask myself how the hell I managed to climb Kilimanjaro. But I have my own theory. In fact, I need to say, in my defense, that there is a huge difference between starting to ascent at 2800 mt and at 4500 mt. You get there by car and as soon as you get out your body feels this abrupt change in the air. I started panting and, as I started moving, my breath was getting shorter and shorter and my steps slower and slower. In the meantime, I watched the people of my group almost running all the way up. How the heck can they do it? It wasn’t my legs it was my heart beating so fast I got even scared. What made it worse was that the guide was way up and knowing that I couldn’t keep up with the group pace I started to worry that I would have left behind and that I couldn’t find my way to the refuge. I was really tempted to go back and stay in the car. But damn it. I was there to hike not to race. I should have asked for a private guide, I thought. I was almost panicking but then I saw one of the girls of the group walking at my own pace and suddenly the guide appeared to wait for us. Thank God. I was relieved, and that helped with my pace. If we are nervous and agitated it adds up to the fatigue and it becomes harder to walk. If you are serene and, take your time, without worrying about what the others are doing, one step after the other you get everywhere. I also have to say that during group hikes there should normally be two guides, one that leads and one that closes. That was not the case, but because, I understood later, that there is no chance to get lost. The path to the refuge is a huge easy road, just very steep, but there is not a chance you can get lost. Once I arrived at the refuge, I decided I would end my hike there. The other guys were too fast, and considering the path would become steeper, colder and windier, I didn’t want to run the risk to be left alone again. I felt a little defeated but hey, you got to listen to your body and your sixth sense. The rest of the group who ventured further to the glacier, up to 5100 mt, came back in a blink of an eye. A joke, it seemed. The way back is naturally easy although a little slippery. Once you walk down to the parking lot you have the option to bike back down. You will need to book your ride in advance because your tour company would need to load your bike, which you would have previously tested. You have two option, either start your ride from the parking lot all the way down the hill (at the foot of Cotopaxi) which is bumpy and curvy but, according to my friends who did it, not dangerous. Or you can start at the end of the hill, where the road still gets bumpy but not steep, which means you will have to put the effort and pedal 😉 But that’s where the fun is, right? The ride ends almost at the entrance of the Cotopaxi National Park entrance where all the bikes get loaded on top of the Jeep and we all get back to their own hostel. 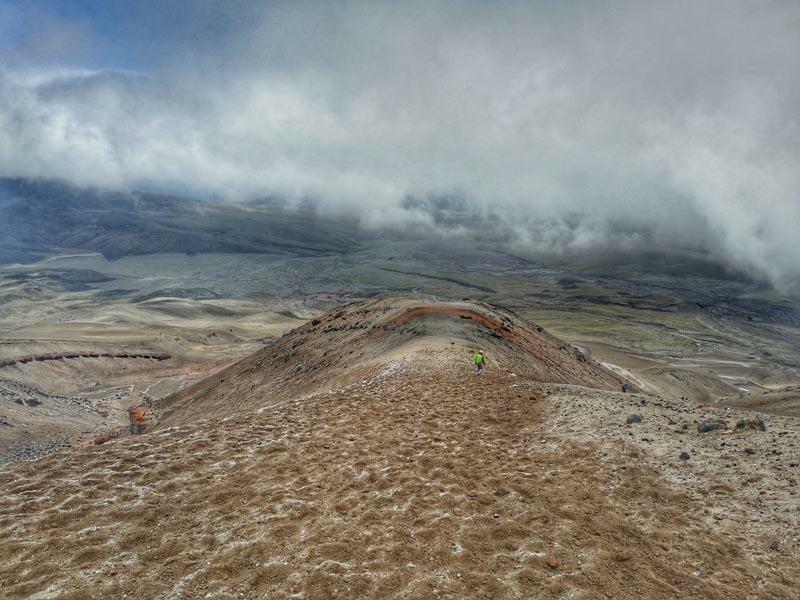 If you are fit and already acclimatized and you love heights, you might want to challenge yourself and try to get to the Cotopaxi peak. It’s 5,897mt, mind that. In this case, you will definitely need a guide. If you go with somebody else it is better to have a guide each, because if one can’t make it and needs to turn around, the other can keep going. The tour company normally provides with high mountain certified guides and the necessary equipment, as you will need a helmet, cords and traction cleats. It is very challenging and being fit is not the only requirement. Altitude sickness can hit anyone of any age gender and physical condition. Of course, if you suffer from asthma it’s not advisable to go. Ok. So you have decided you want to venture up to 5100 mt and you are not so experienced about heights. Here some tips for you. As I was explaining before, the walk is really short but still, you need to follow some common sense high mountain rules. It’s a healthy habit to stay hydrated always, even more, when you are at such an altitude. Drink lots of water the days before and keep a bottle with you. Staying hydrated means drink a lot of water and natural juices only! 😉 Alcohol is your enemy in this case, at least a couple of days before and after I would suggest you avoid it. 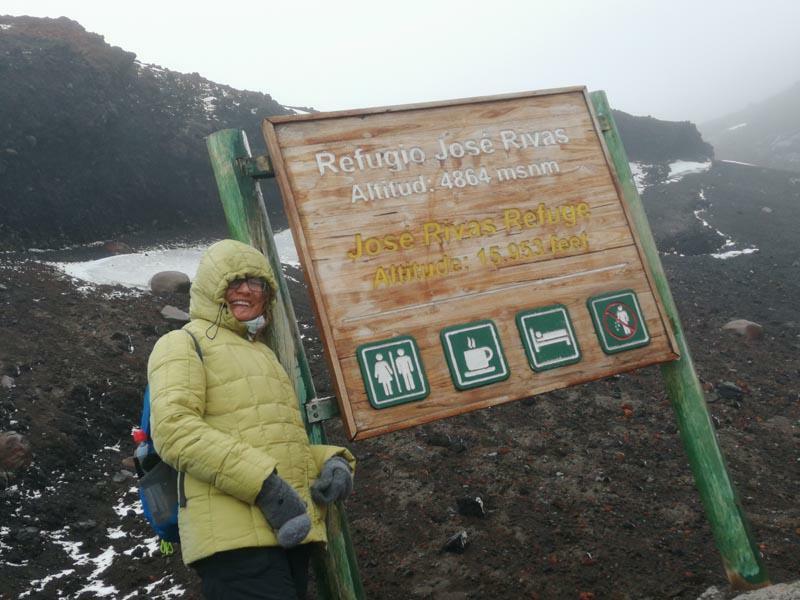 How do you acclimatize for Cotopaxi? I met two girls that were coming from the sunny coast, at sea level, straight to 4800 mt. That’s definitely not a good idea. Nothing can happen but physiologically speaking your body will not like such an abrupt change of altitude. 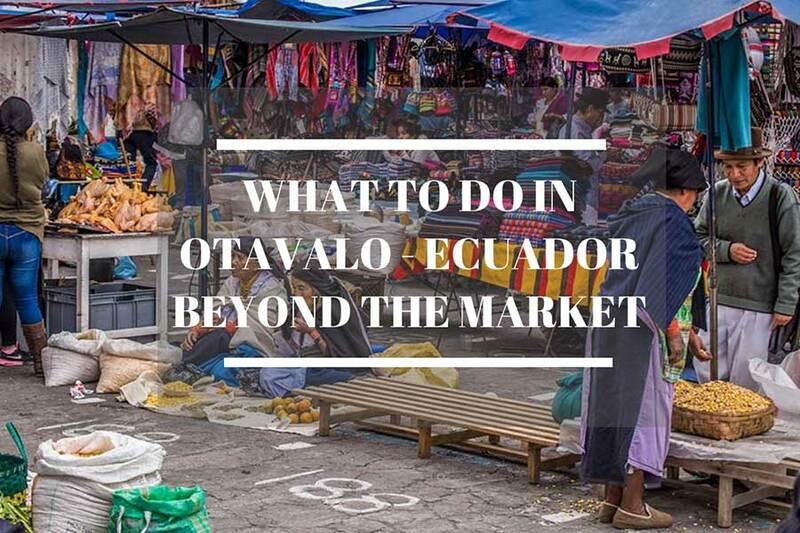 Be wise and stay in Quito, which is at 2800 mt, for a few days so that you can get accustomed gradually to height. In general, every time you hike to high altitudes you will need to acclimatize first at lower but still good heights so that your body can get accustomed to it. Keep also in mind that it doesn’t matter how fit you are or what age, altitude sickness can hit anyone. And, what’s more, if you had already been in the mountains once and you were just fine, it doesn’t mean that the next time it won’t affect you. So just be careful and act wisely. Cotopaxi: what to wear? It is cold at that height, and windy. When I was there it also started to ice-snow. I was wearing a heavy hooded jacket like the one you use for skiing. My hiking pants were over wool pants, gloves, scarf, and cap will also protect you from the icy wind. And of course, good waterproof hiking boots. Well, this is not for hiking Cotopaxi only and it doesn’t mean to offend anyone, but I can never stress enough how it is important to respect nature as if it was your own home because it is. So please be kind, don’t litter and take your rubbish with you. Hey there! the friendly vicuñas. Well, as I said before this hostel made me withdraw all the bad things I said about staying in a hostel. Oh well. 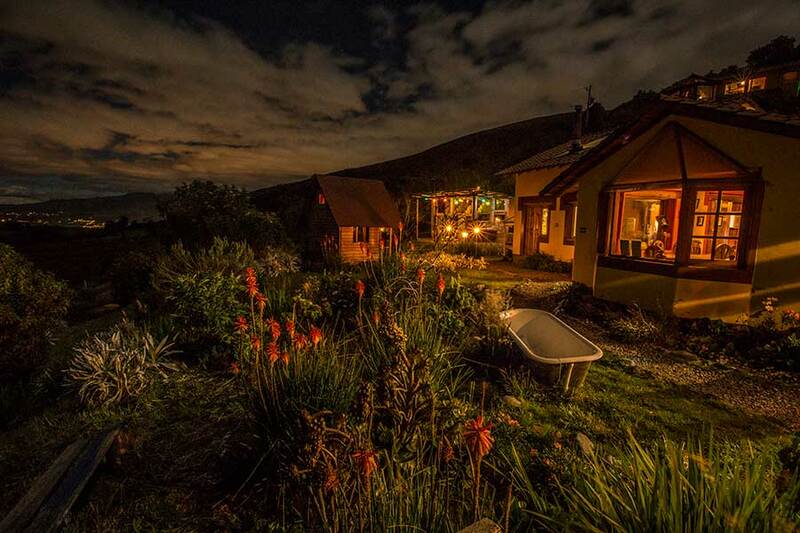 I still love the privacy of my own room and bathroom, and that would never change, but I was really happy about my experience at The Secret Garden Cotopaxi and I will tell you why. 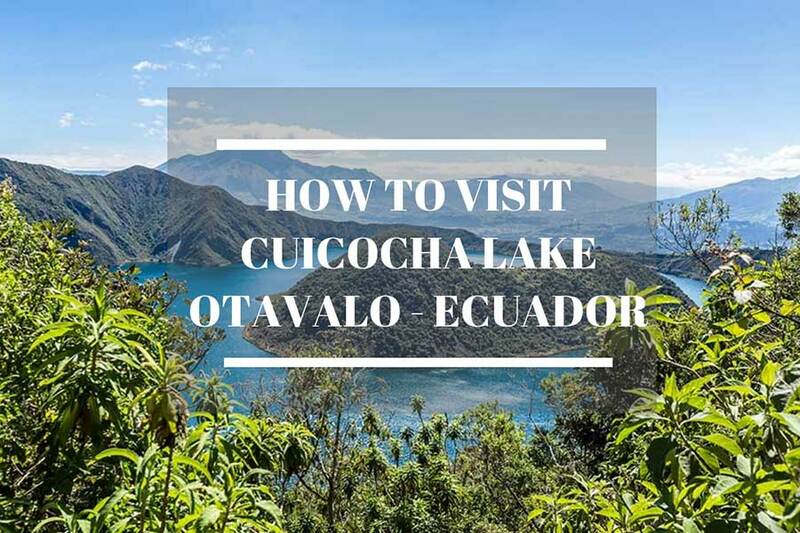 Their private transportation will pick you up either in Quito or in Machachi (if you arrive from a different destination) at a specific time. It costs only 5 USD or it’s included if you have purchased the package. In two hours ride through a very scenic road you will get to the destination. The very lively manager will receive you with a “welcome to paradise” greeting, and as you look around you can’t help but agree. The cute and cozy place is made of colorful buildings of different size and shapes scattered around a manicured garden with flowers of every size and tones. 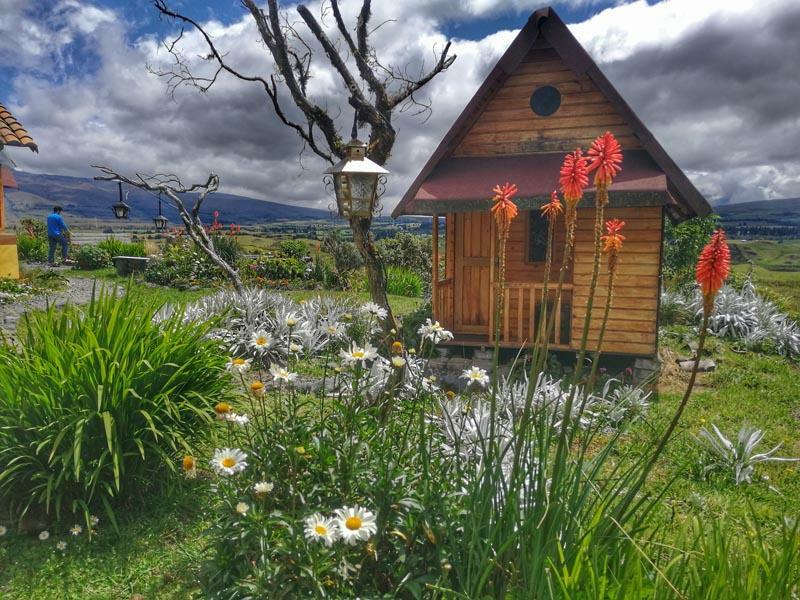 A wooden deck right outside the main area and a net will be your favorite place to relax while you are admiring the imposing white caped Cotopaxi in all its grandeur in the background. And you dream about conquering its peak, but you know, or, at least I knew, that I could barely reach for the beginning of the Glacier, and not even that. That view and the bucolic setting would be my home for 3 days. Ah and NO WIFI there, which turned out to be a blessing. I was disappointed at the beginning because I was hoping to stay there longer and work from there in that spectacular setitng, but it turned out to be the best choice ever as I would immerse myself in my books and in interesting conversations with my new pals. Of course all about travel-related chats). 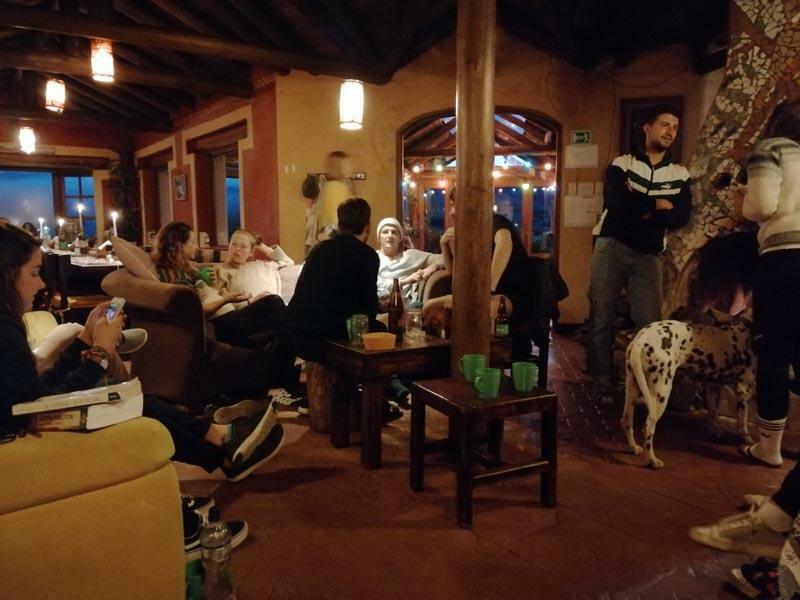 The Secret Garden Cotopaxi is a hostel but in reality, it also offers private rooms for those who want to live a romantic experience with the partner. And it is romantic indeed. I chose a dorm room because the private accommodation was way exciting my budget, but differently from all the other dorms, here I was feeling really comfortable. The room was spacious and we had a private bathroom, which was huge and clean and also very stylish. I have to say the entire complex was. The round-shaped hobbit rooms covered with vegetation were my favorite although they had external bathrooms. And the outdoor toilets and showers were their special place. They were high constructions and both the shower and the WC were on a platform at the same level of the top windows. 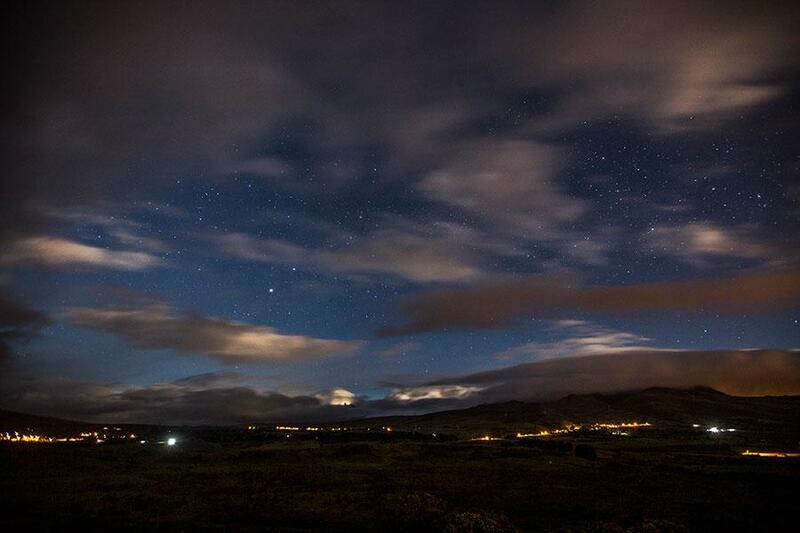 So you could look at the Cotopaxi and Ruminiahui mountains while…doing your things. That was hilarious but cool indeed. Meals were served in big tables where all the guest were sitting all together mingling and chatting away. The chimney was set up to warm up the cold evenings and people would hang out there before and after dinner either chatting or reading. I read almost two books. Not that I am antisocial, oh well, sometimes. There I made lots of great friends. But I also loved to have my solo moments and immerse myself in my readings. The food was delicious and prepared with care, you could tell. The best foodie part was that you had access to delicious homemade banana bread and bananas all day long, besides water, tea, and coffee. The atmosphere was always warm and friendly. I was particularly impressed by the impeccable organization on one side but especially by the kind of guests it attracted. I am quite solitary and I never hang out with people I met in hostels, but there, I really felt part of the tribe. So weird. I was happy to live after 3 days, though. Too much community life is not for me, but still. Extremely happy for the experience. If I didn’t have to work I would have surely stayed longer. There are so many hikes you can do from there. When I booked I took a special package which included one short hike to a nearby waterfall and another long hike to Pasochoa. I didn’t take this one and got refunded. That was nice. You don’t need to reserve the tours in advance. Once you arrive at the hotel you will be briefed on all the activities available and every day during the afternoon tea time you would let them know your plans for the following day. Normally the Cotopaxi hike always reaches the minimum number for a group tour, otherwise, it would cost a little extra money. As for the other tours, there is a chance you are alone or with few people which implies a higher cost. Those tours are. 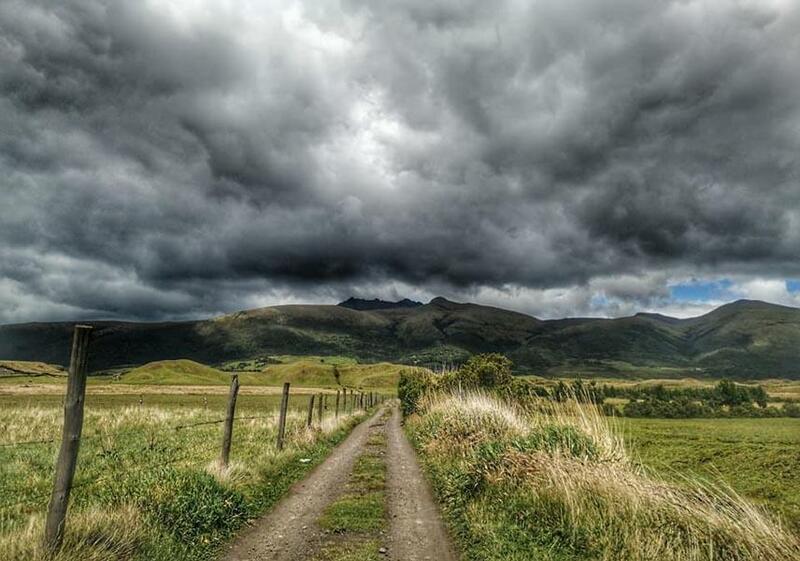 SIDE NOTE #1 – One thing I need to let you know, as a slow hiker, I didn’t take any of these tours based on my experience at Cotopaxi, and some comments from other guests who took the tours. The guides seem to walk very fast and not very happy to wait for you. So I wasn’t very encouraged to join a group. Because I know that I walk slowly in the mountain I always prefer to get a private guide, when I can afford it, and walk on my own pace without any pressure. I also love to take pictures and I don’t want to slow the group down for that. So this is one advise I love to share. There is nothing wrong to be slow or to just want to have another pace, but still, I don’t like to impose my choice on others. So getting a private guide or group up with somebody with the same needs is the wisest thing to do. SIDE NOTE #2 – Just for the sake of clarity: I don’t have any affiliation with Secret Garden, whatsoever and I don’t receive any money for speaking so well about them. It is just my most honest and spontaneous comment because I loved my experience. I was actually so blown away by the place that I decided to write an article. Please feel free to ask me any question in the below comment. 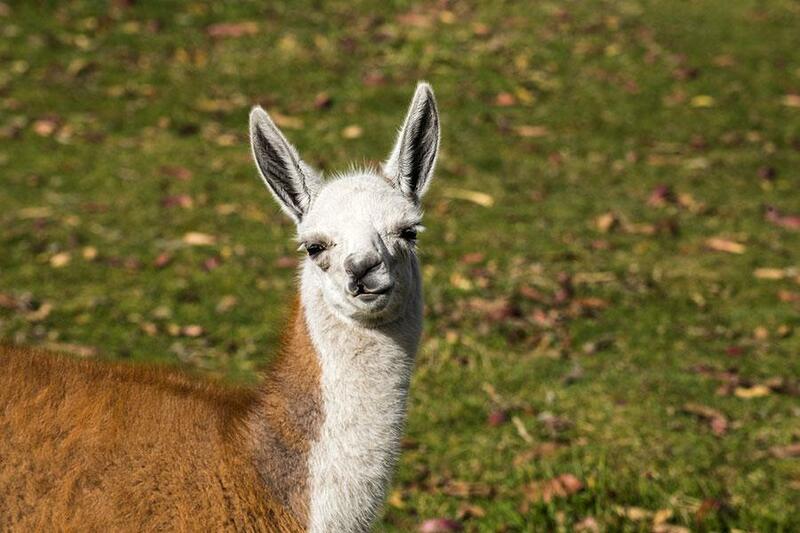 I will be happy to assist you in planning your trip to Ecuador.